Self-care has become a bit of a buzzword in the online space. Left and right you see ads and businesses touting expensive treatments, products, and experiences and angling them to be the best for self-care. Honestly, this can make you feel even worse, especially if you have a budget that you are trying to stick to and/or don’t have a ton of time to devote to self-care. All this can make it seem like a daunting task to even do a little bit of self-care, let alone doing it to someone else’s standards. In today’s hyper-stressful world that is increasing in demands on our time, our money and attention it can be difficult to find any time to focus on yourself. But the reports are in, practicing self-care helps us cope with chronic stress, illnesses, and in general our lives. (Source) We can fight it all we want, but the evidence doesn’t lie. Our bodies and minds respond well to self-care and mindfulness practices. So, do we run out and buy up all the super expensive spa treatments and bath bombs and rare oils in an attempt to practice “self-care”? What I’d like to tell you is that self-care doesn’t have to be a hugely expensive endeavor or something that you have to do a certain way to get the benefits from it. Marketers would have us believe that self-care is all slabs of chocolate cake and expensive beauty treatments if they could, but luckily enough this notion is beginning to shift in today’s world. Self-care is actually more of a general term describing steps you can take to care for yourself and your health before you need to seek medical attention for illness and injury. Common self-care items are things like: meditation, hatha yoga, walking through the park, and can generally encompass any activity that you find relaxing and good for your health. Each of us is different and thrive in different circumstances, and our self-care should reflect that as well. Here are some tips for finding a self-care practice that you can reap the benefits from and find your zen. This concept comes from the popular book The Artist’s Way. In it, Julia Cameron suggests beginning taking yourself on what she calls an “artist’s date”. And it followed pretty closely to what you can do with self-care routines. She suggests that you try to spend less than $10 for the date, but also find something that is a “treat” to you and go for it. That might look like buying new art pens, craft supplies or spending the day at the MacKerricher State Park looking at the waves and soaking in the ocean air. The whole point is that you take a small amount of time and a small dollar amount investment to treat yourself each week. We all know that we can say no anytime we want to anything that we would rather not do. This becomes tricky though when a friend or acquaintance begins to take advantage of your relationship and ask for more favors and time than you can afford. If you are a people-pleaser this is a particularly tough habit to form. It is difficult to say no to people and situations all the time, and that’s not what I’m suggesting. What I am suggesting is that we absolutely draw the line when requested activities drain us instead of filling us up. If you are worried about sounding rude if you say no to something that drains your energy don’t be. I’m here to tell you, no matter the situation, it’s not rude to let people know when something doesn’t work for you. day. If you are having a hard time with this, try reframing it in your mind. For each task that drains you that you say yes to doing, that means less energy and time to do things that you love. 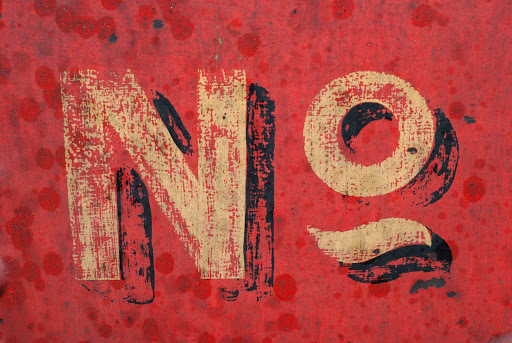 “No,” is a full sentence and once you learn to harness the power of saying no to things that aren’t a “hell yes” you’ll begin to see your time and your heart begin to open up to other possibilities. Sometimes our issues and stress need to be worked out in a physical manner to get rid of them so we can relax. Whether it’s been a while since you worked out, or you’re a regular exerciser, finding a way to move your body for around 30 minutes every day can be a wonderful way to practice self-care. Try to find something you like doing, like dance, yoga or running. Yoga, in particular, has been shown to help lower cortisol, cholesterol, and even help reduce blood pressure (Source). Maybe you’re not into any of that but you’re really into kayaking or biking, that’s cool too. The whole point of moving your body for 30 minutes a day is to do it doing something you enjoy. If you’re just starting out with working out, try looking for a yoga or dance studio or gym that offers different types of classes and get yourself a class card. Then, go try out different classes to see what it is you like. You’ll definitely find at least one class that strikes your fancy this way. If you’re taking a yoga class for the first time, be sure to check out the post on How to Survive Your First Yoga Class. It’ll help you be prepared for your first class. One of my favorite things to do as a self-care ritual is to take myself to a museum or gallery and appreciate the artwork. Our lives are so fast paced that it can be easy to lose track of time as it slips away from us. By taking time out of our day to appreciate the art around us we are finding a way to suspend that fast running clock for a few minutes and the talent and skill it takes to create something from nothing. Art adds to our lives in a way that is hard to understand until we find ourselves without it. Many galleries hold free shows and exhibitions throughout the week. Take a look at your local paper or do an internet search for art gallery events in the area. You never know what you might find. You might even find your new favorite artist. If museums and art are not really your thing but you really love music, try checking out a local band playing a live show near you. Music is an art and taking time out of your schedule to spend some time listening to your favorite music can help relax and open you up to more possibilities in life. This one is pretty standard advice, but if not executed for relaxation can get you into hot water quick. If you have kids, make sure they have gone to bed or are sleeping over at grandma’s house. Then spend a night doing all the things you don’t normally get to do that are relaxing. Draw a bath & add in some of your favorite essential oils, light the fancy candles, read a few chapters of that book you’ve been meaning to read or whatever else sets you up to be in a relaxed mood. The whole point is to do what feels best so that you will feel the most taken care of after it’s done, leaving you feeling replenished and ready to start again the next morning. If your self-care night it looks more like a night out with friends, or watching a cheesy 80’s movie with popcorn and a glass of wine, that’s cool. As long as at the end of it all you feel refreshed and relaxed. Still looking for more ideas to cultivate self-care from Whispering Heart Yoga? Check out Amelia’s yoga classes at Yoga Mendocino. She teaches on Tuesdays from 9-10 am and Thursdays from 8:30-9:30 am. If you’re not into group classes, she also offers private sessions too. Hopefully you have found a few things that you can try out tonight to make your self-care routine a bit easier and a bit more fun. What are some of your favorite self-care routines and tips? Let’s share in the comments below and share the love with our community! Aly Mazzanti is a commercial writer & content marketer specializing in food and wellness businesses. She can be reached by email at contact@alymwrites.com and also on instagram @alymwrites. Want More? Sign up to receive all the goodies! Class Updates, Events and More! Thank you! Keep an eye out of goodies in your inbox!